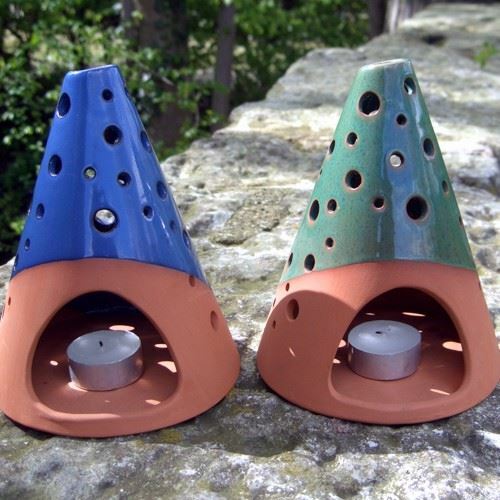 Our terracotta tealight lanterns help to create atmosphere & bring warmth to your dining or patio table. 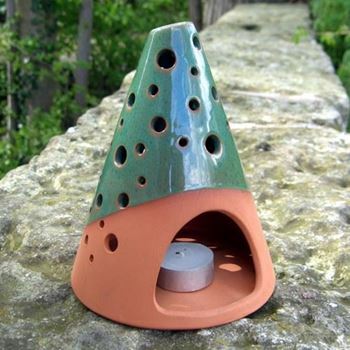 Subtle warm candlelight illuminates the terracotta lantern & radiates out of the many pierced holes when lit. 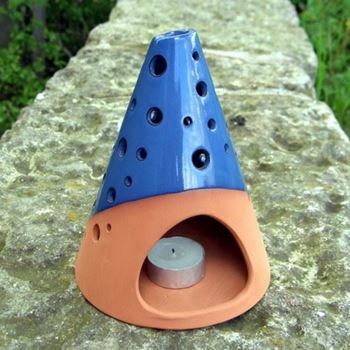 Choose from either blue or Green glazed finishes or plain terracotta.